Vienna 1938. The »Anschluss« of Austria is imminent. It is a time of pogroms, of opportunists, of denunciations and enthusiastic nazis. In these times of upheaval 18-year-old Ursula has to decide which road to follow – will she be part of the brutal regime or join the Resistance. Nowhere can she be safe anymore, for »soon all walls will have ears and behind every door someone will eavesdrop«. Ursula’s brother is trying to convince his family to join the national socialists, even the teachers at her painting school are party members. In those dark days that threaten not just Ursula’s but many livelihoods, her boyfriend seems to be the only ray of hope. This novel’s breathless prose disconcertingly mirrors Ursula’s inner turmoil, her despair and her existential fears. 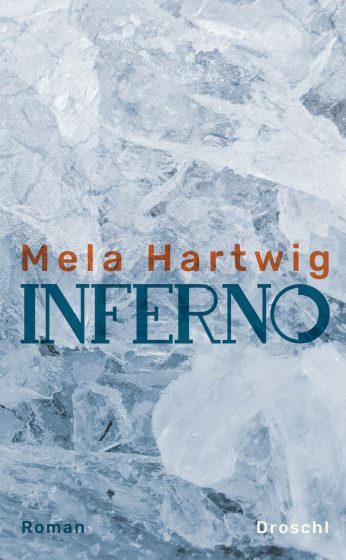 Between 1946 and 1948 Mela Hartwig, in her London exile, penned Inferno which has been published for the first time only now, 70 years later. It is remarkable how lucidly Hartwig analyses the Nazi era so shortly after the war.